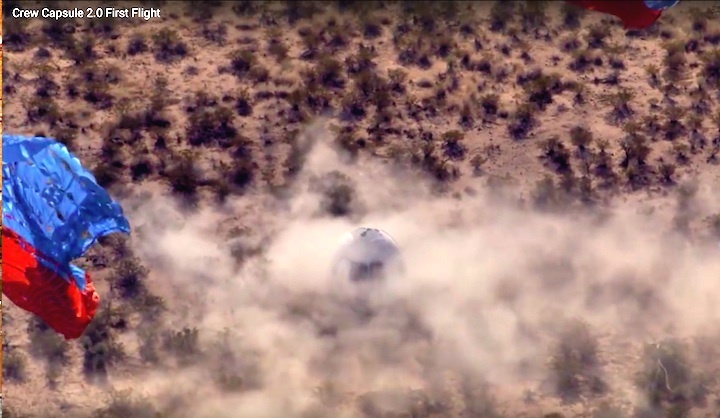 WASHINGTON — An airspace closure notice published by the Federal Aviation Administration Dec. 9 suggests Blue Origin is preparing to resume test flights of its New Shepard suborbital vehicle after a hiatus of more than a year. The NOTAM does not give additional details about the planned activities, but does identify Blue Origin as the point of contact regarding the airspace closure. “Blue Origin has filed a NOTAM for spaceflight operations this week. It will be taken down when our activity is complete,” a company spokesperson said in a statement to SpaceNews. The company declined to provide additional details about those spaceflight operations. Blue Origin has filed similar NOTAMs in the past in advance of New Shepard test flights. Such notices were originally the only advance notice of those flights, which the company disclosed only after they took place. 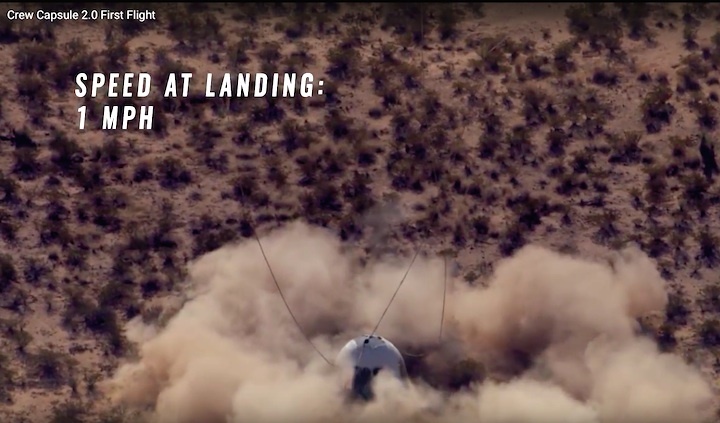 The company later became more open about New Shepard test flights, proving advance notice of them and even offering live webcasts. 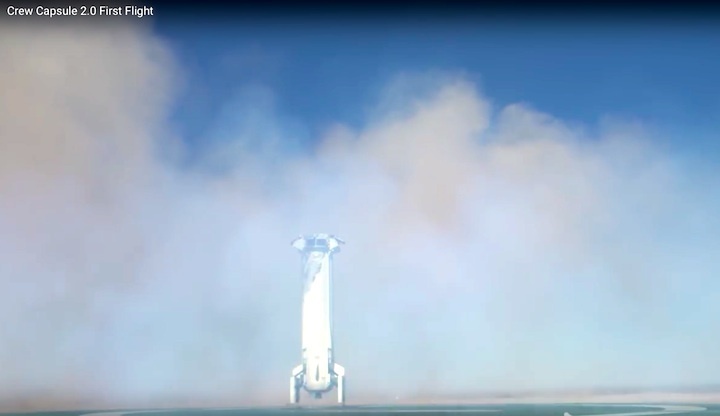 Blue Origin completed a series of suborbital test flights of New Shepard in October 2016. 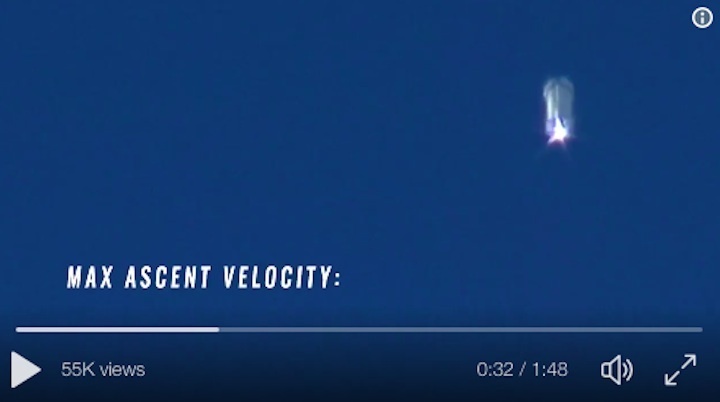 On that last flight, it successfully performed a test of the vehicle’s in-flight abort system, with the crew capsule rocketing away from the propulsion module and making a parachute landing. 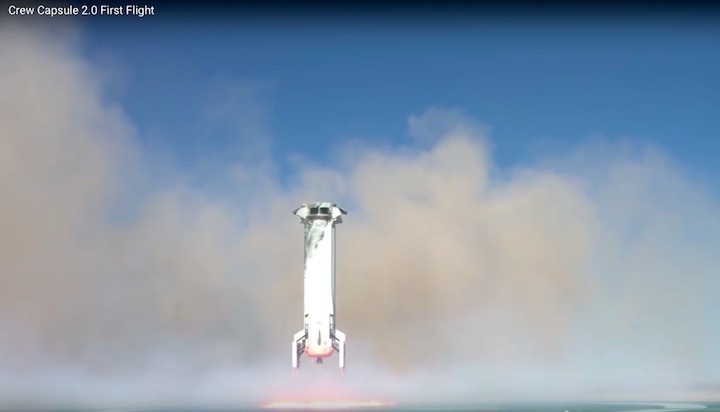 Despite expectations that the propulsion module would be damaged or destroyed by the abort motor’s plume, it was able to make a powered vertical landing, similar to four other test flights dating back to November 2015. Blue Origin subsequently retired that test vehicle, putting the propulsion module on display at events such as the 33rd Space Symposium in Colorado Springs and the Experimental Aircraft Association’s AirVenture air show in Wisconsin. 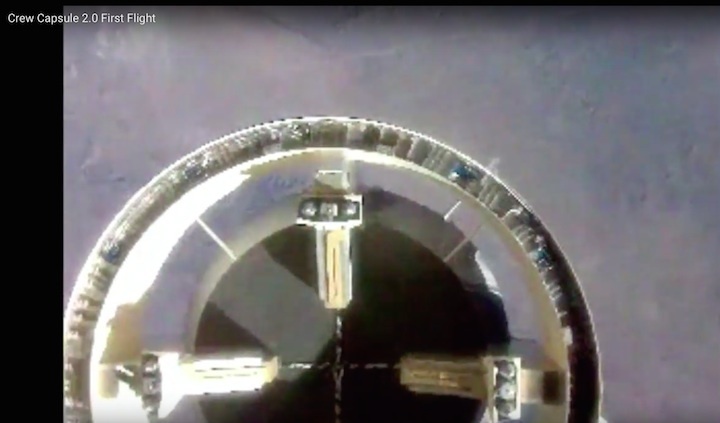 Along with it, the company displayed a model of the crew capsule, its interior outfitted with six seats to carry space tourists on the suborbital spaceflights the company plans to offer. 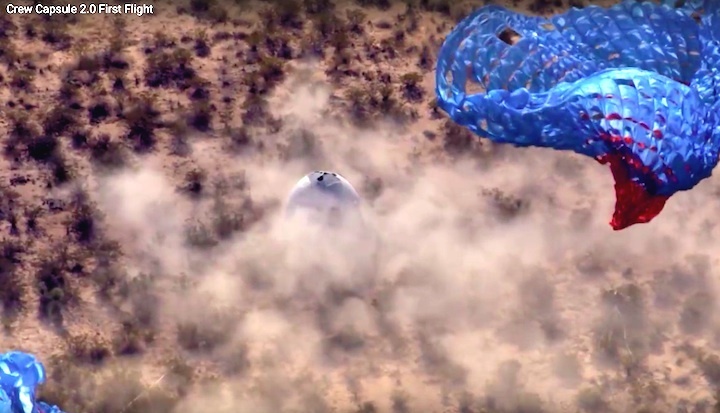 New Shepard will also be able to fly research payloads, with some experiments flying on the earlier series of test flights. The company said it was building a new set of propulsion modules and crew capsules. In recent months, company officials said that test flights using the new vehicles would resume before the end of this year. “We’re looking forward to flying the next tail number of New Shepard by the end of the year,” Ariane Cornell of Blue Origin said in a Sept. 26 panel discussion at the International Astronautical Congress in Adelaide, Australia. Those future test flights, she said then, would also use a version of the crew capsule that includes the large windows the company has promoted as the largest ever to be flown on a spacecraft. The capsule on the earlier test flights had only the locations of the windows painted on its exterior. “It’s a really important next step,” she said. 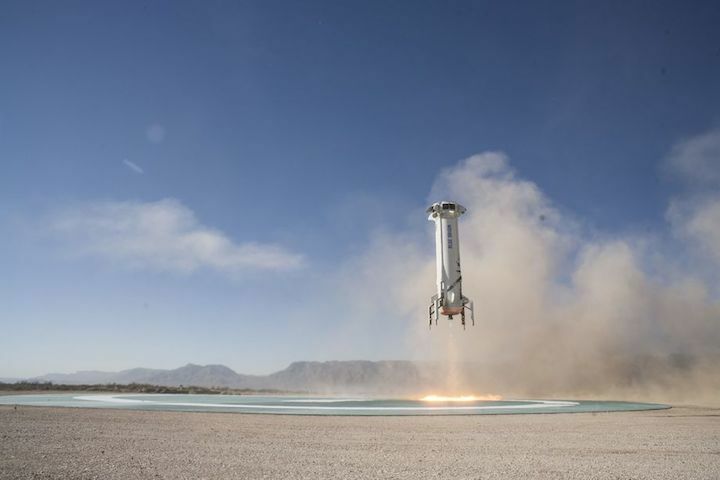 Unlike Virgin Galactic, another company that is planning to offer suborbital spaceflights for tourism, Blue Origin has not started selling tickets for New Shepard flights. Company founder Jeff Bezos said at Space Symposium in April that selling tickets, or even setting a price for those tickets, was not a priority at the time. 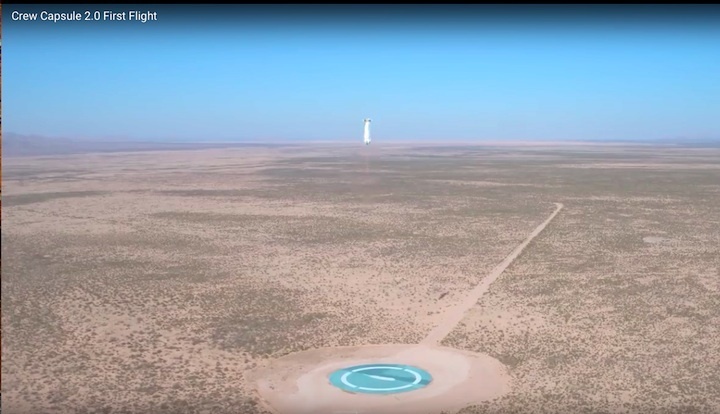 Blue Origin has issued a notice to airmen (NOTAM) for Dec. 11 through 14 (Monday through Thursday) covering its rocket test site near Van Horn, Texas. 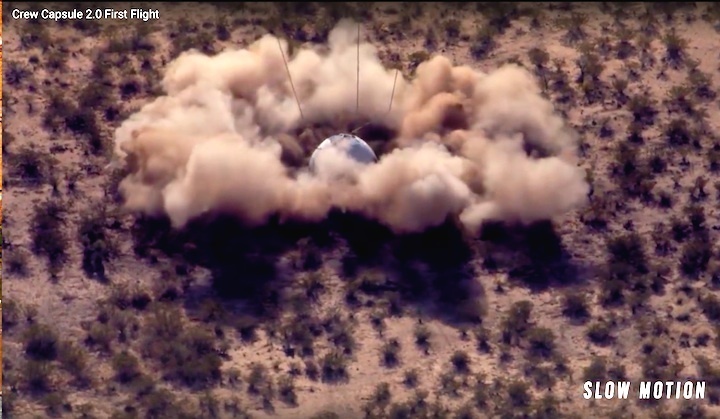 A source tells Parabolic Arc the company will be testing an upgraded version of its suborbital New Shepard booster and capsule with scientific experiments aboard. The spacecraft will have real windows (the ones on the previous capsule were painted on) but is not intended for human flight. 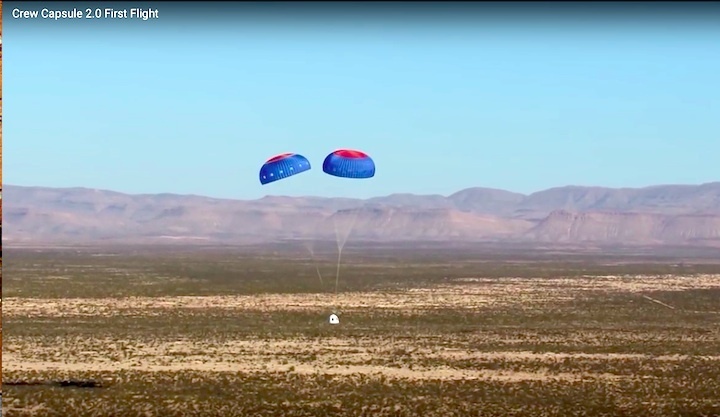 The reusable New Shepard system has launched six times from its West Texas test site. On five occasions, both the booster and the spacecraft landed safely after exceeding the Karman line at 100 km (62 miles). The booster on the first flight crashed while attempting a landing. The capsule landed safely after reaching an altitude of 93.5 km (58 miles). 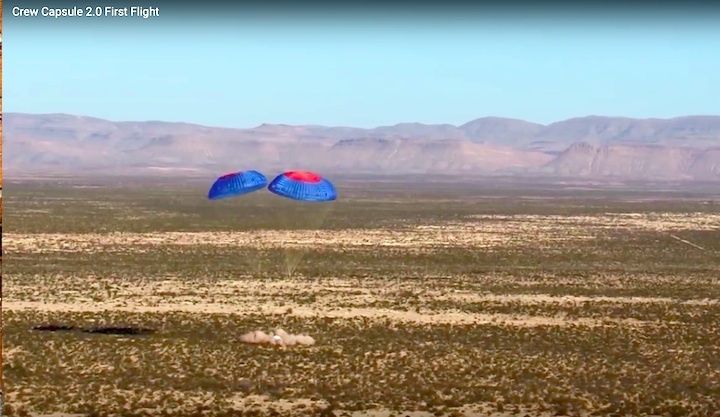 The most recent New Shepard flight was a test of the capsule’s abort system in October 2016. The spacecraft blasted away from the booster in mid-flight; both vehicles landed safely and were subsequently retired. 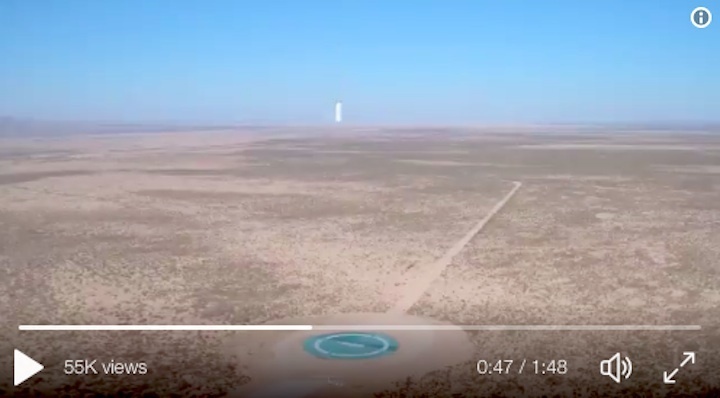 New Shepard Booster landing on the pad in West Texas. 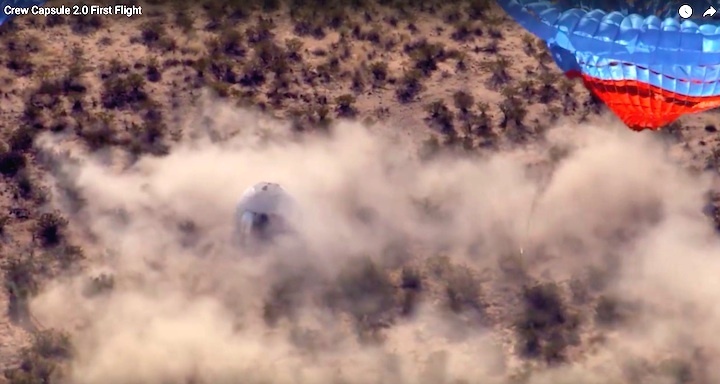 Private spaceflight company Blue Origin is back to launching rockets again after pulling off another successful launch and landing of its New Shepard tourist vehicle today. 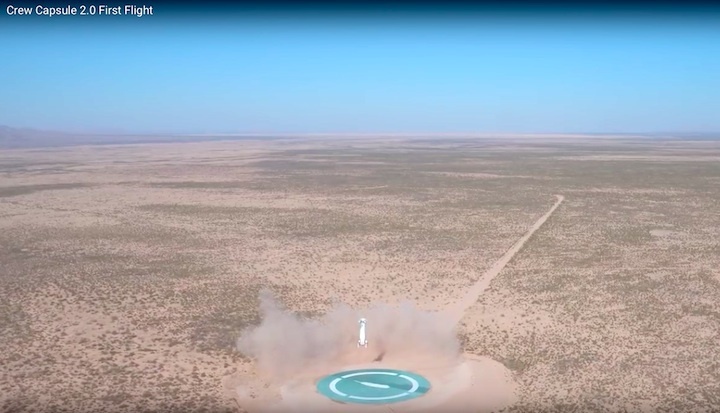 The sub-orbital rocket took off from the company’s facility in West Texas around noon ET, a source at Blue Origin confirmed to The Verge. 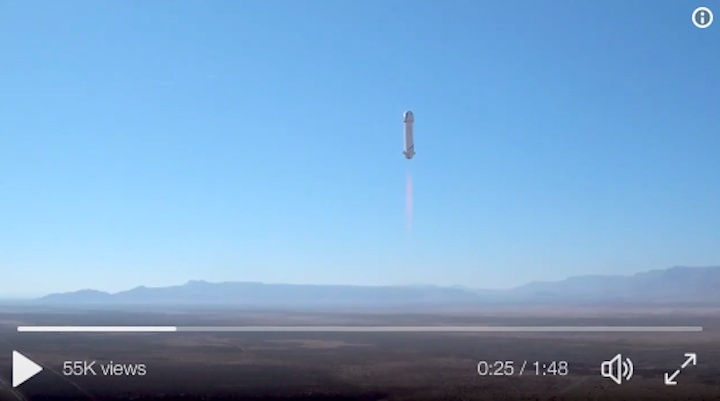 It’s the first big test flight the company has done in more than a year. In fact, Blue Origin has had a relatively quiet 2017 compared to the company’s previous years. 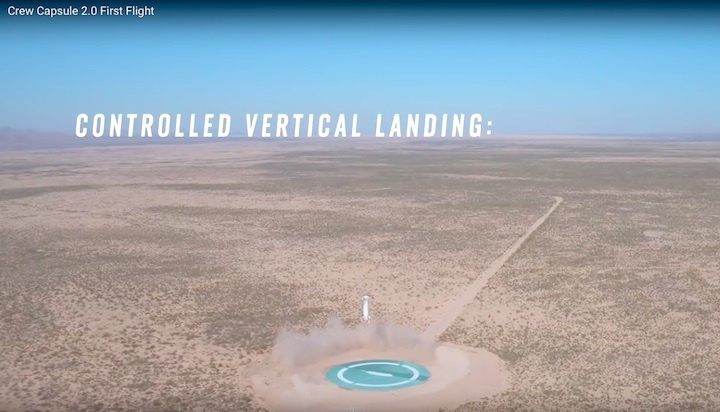 In 2015, Blue Origin became the first to vertically land a rocket just after launching it to space; the company would then go on to launch and land that same New Shepard vehicle a total of five times. 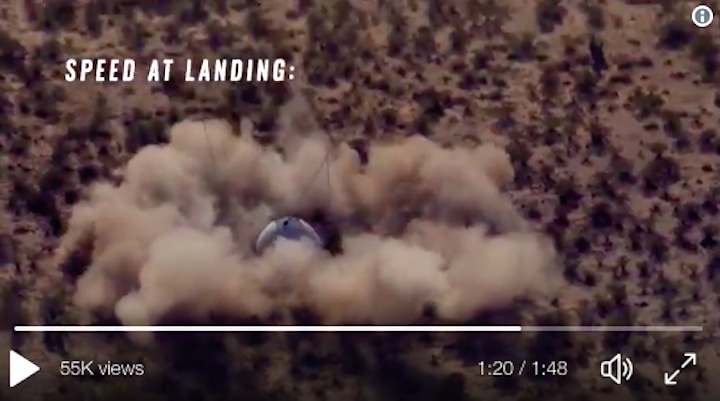 Blue Origin fully expected to crash the vehicle during its last launch in October 2016, too, but the rocket ultimately survived the test and was then retired from flight. 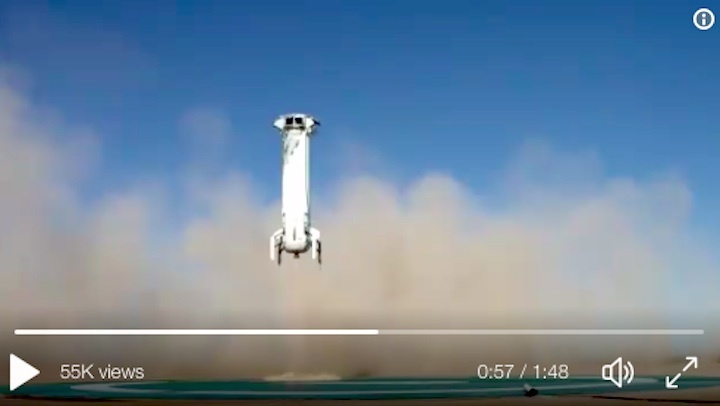 Now, Blue Origin is flying a brand-new test vehicle — one that is closer to the final version of the rocket that will actually carry people to space. 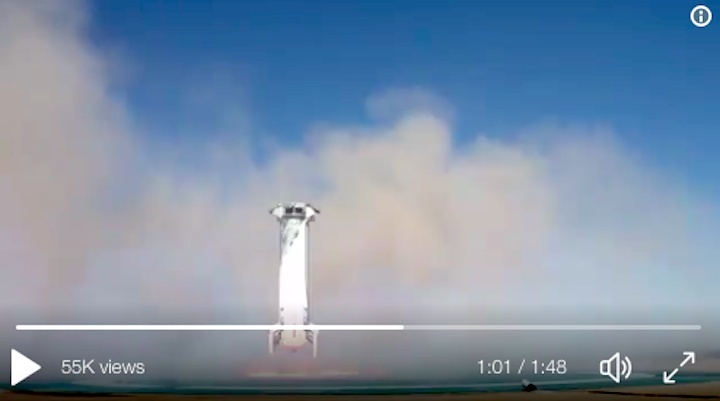 For instance, the capsule on this rocket actually has windows, whereas the windows on the last vehicle were just painted on. 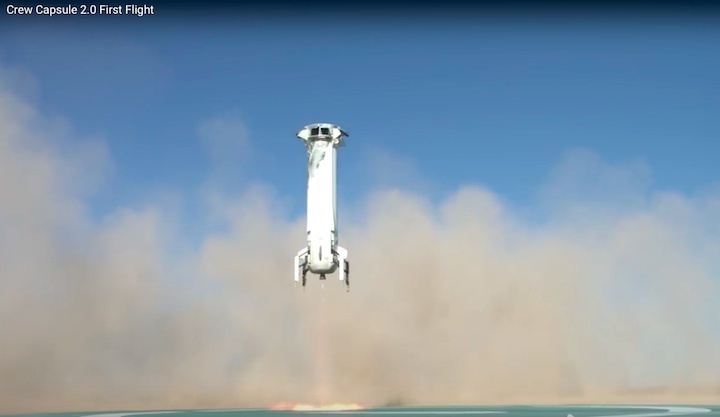 Also this test flight had a few experimental payloads on board as well as a dummy, which Blue Origin appropriately named Mannequin Skywalker. It seems to have survived the journey to space and back just fine. That means Blue Origin is likely getting closer to having people on board during its test flights. Blue Origin’s CEO Bob Smith said that the company is aiming to send its first customers to space in early in 2019 (though there is no word on ticket prices yet). 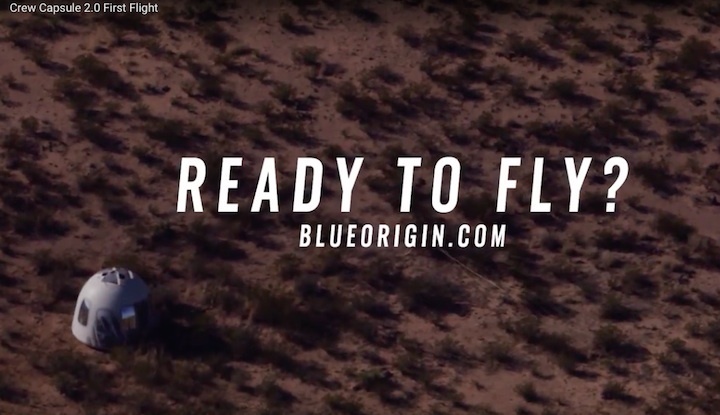 Before customers fly, however, Blue Origin plans to do a series of flights with test pilots on board. Those could happen as early as next year, according to the company’s founder Jeff Bezos, though that’s still a little later than originally planned. 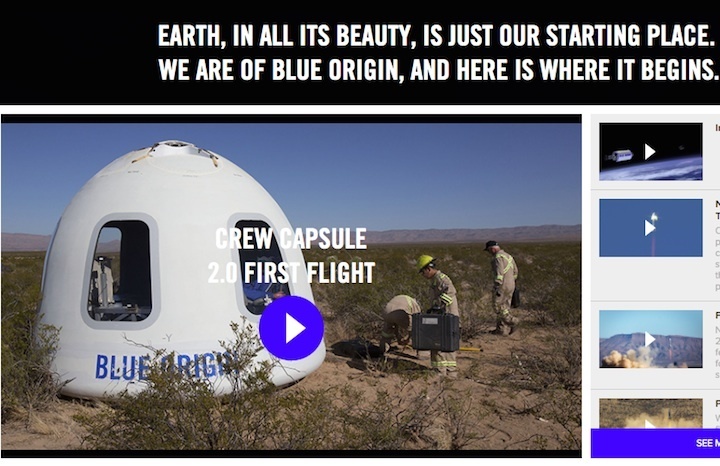 Also, it’s unclear what Blue Origin’s strategy will be for viewing these tests. For a while, the company had been notoriously secretive about its launches, only tweeting about them after they had been complete. Eventually, the company got into the habit of live streaming the final flights of its previous vehicle. 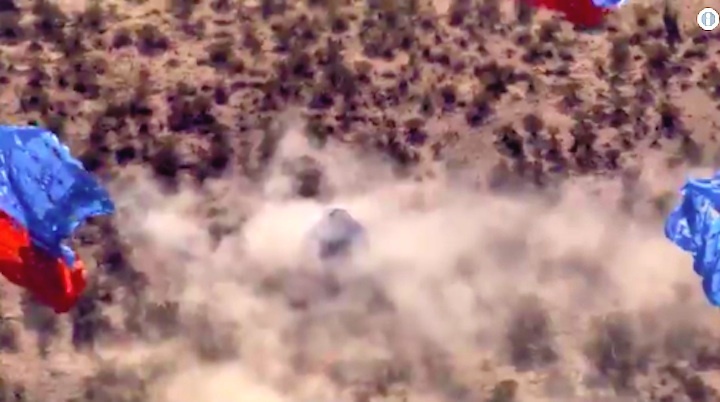 For today’s test, though, Blue Origin didn’t announce its plans to fly New Shepard. 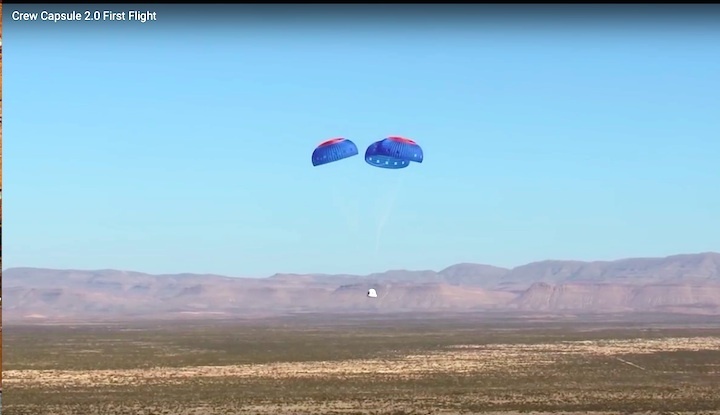 The New Shepard is designed to provide passengers with a short, weightless experience during an 11-minute flight to space. Paying customers ride to an altitude more than 62 miles up, inside a crew capsule that sits on top of a rocket. Once there, the capsule and rocket separate, and passengers experience around three minutes of microgravity. 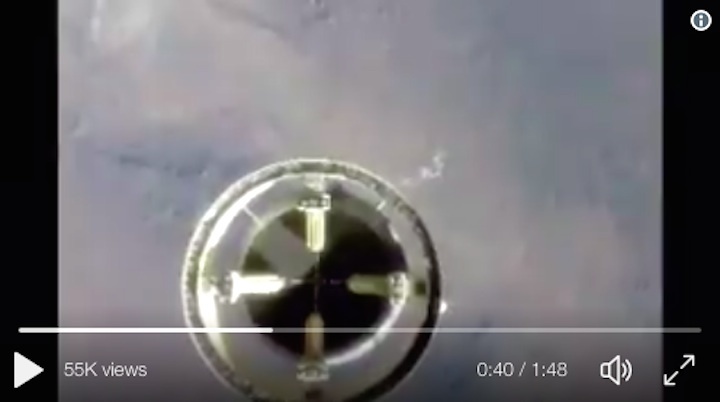 The pieces then fall back to Earth: The capsule lands its crew gently with the help of parachutes, while the rocket does a powered landing, using its engine to lower itself slowly to the ground. Although Blue Origin has barely flown the New Shepard this year, the company has made big strides on other projects, too. In March, CEO Jeff Bezos unveiled a new animation and details about the future rocket the company is building, the New Glenn, which will be able to take cargo — and maybe even people — into orbit. 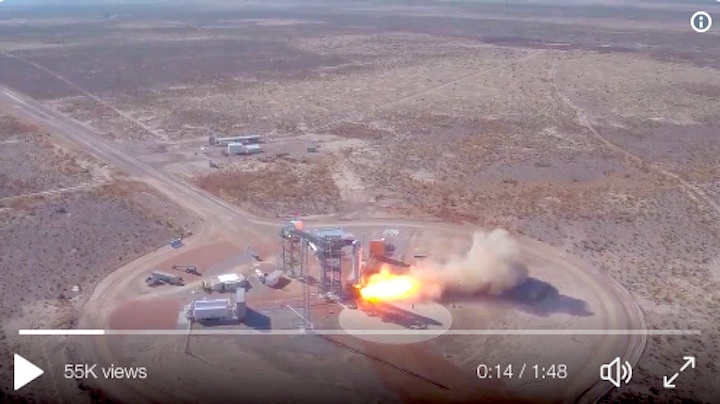 And in October, Blue Origin successfully conducted the first full-scale test fire of its new BE-4 engine, a crucial piece of hardware the company has been developing for the last six years. 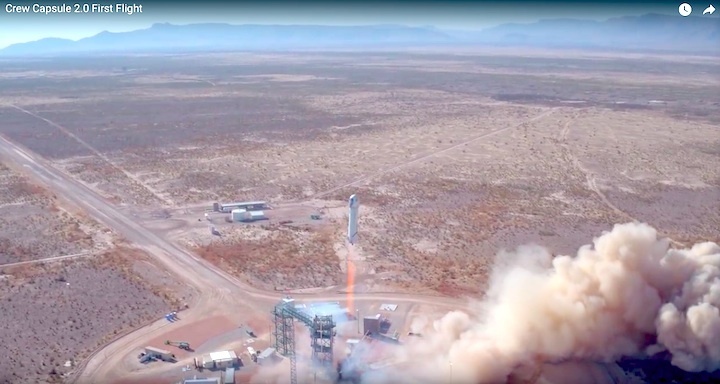 Blue Origin plans to use the BE-4 to power the New Glenn, and the company also plans to sell it to the United Launch Alliance, to power the venture’s future rocket, Vulcan. 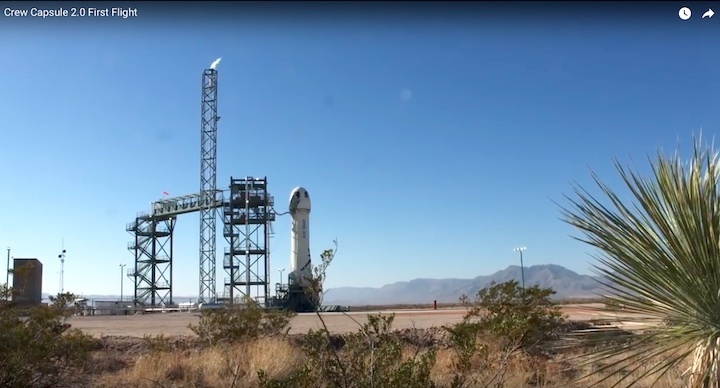 Update December 13th, 10:15AM ET: This story was updated to include information about Blue Origin’s dummy payload. Blue Origin, the space exploration outfit headed by Amazon founder Jeff Bezos, sent a dummy on a test flight to space on Tuesday. Named "Mannequin Skywalker," the dummy is a nod to the famed Star Wars character Anakin Skywalker, otherwise known as Darth Vader. 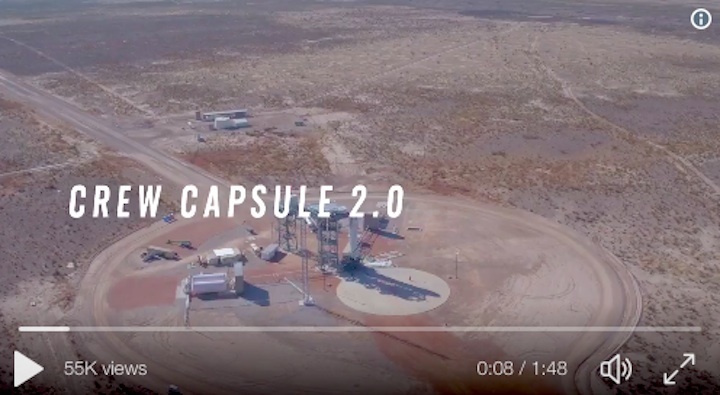 It was meant to serve as a stand-in for the space tourists who will one day pay Blue Origin to take a brief trip to space and see the Earth from afar. 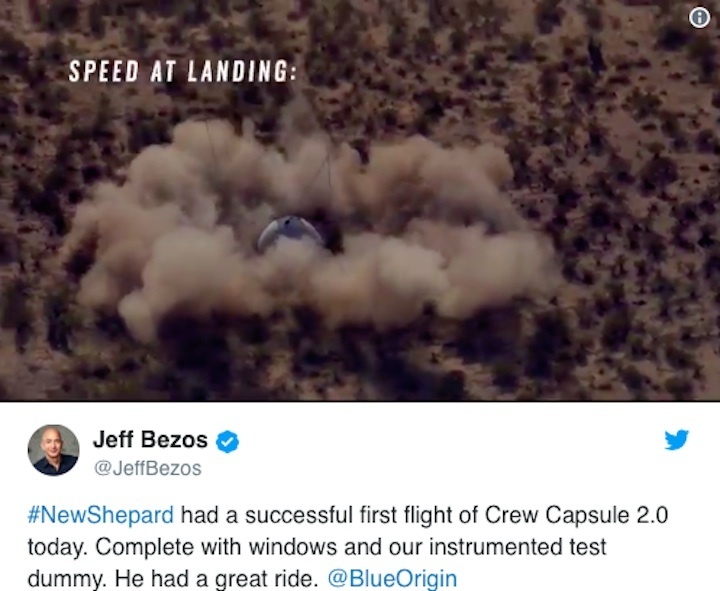 Bezos announced the successful test flight via a tweet Tuesday night that contained footage of the launch. 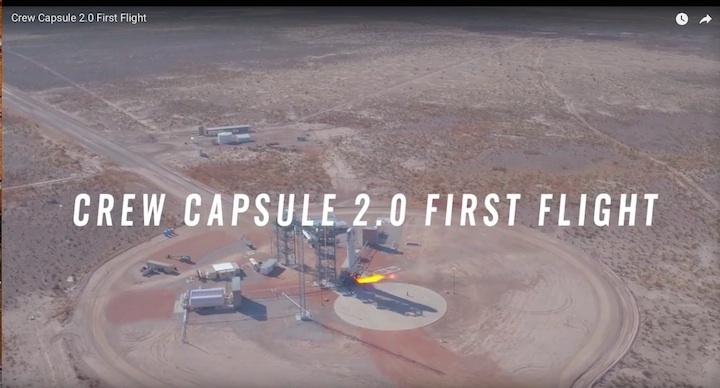 It marks the seventh successful test of a New Shepherd rocket and the first for the company's updated Crew Capsule, the design for which was unveiled in March. It boasts 42.7-inch-tall windows, which the company says are the "largest windows in space." 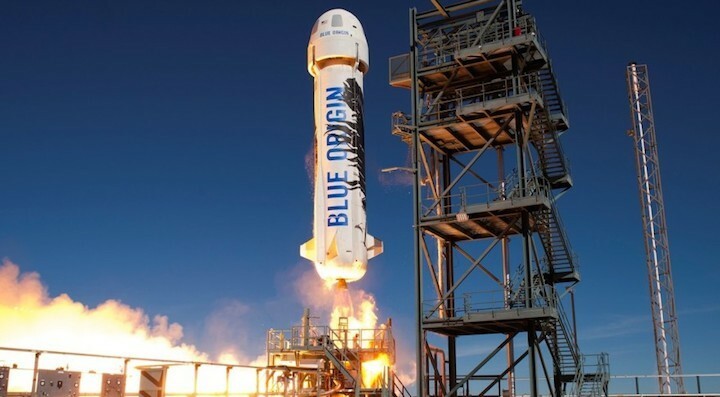 Blue Origin's CEO, Bob Smith, said in October that the company may send its first paying customers to space by April 2019. The company hasn't started selling tickets yet, so there's no word on how much they'll charge for the ride. Blue Origin was founded nearly two decades ago, and so far it's only conducted unmanned test flights, the first of which occurred in 2015. The flights last about 10 minutes. 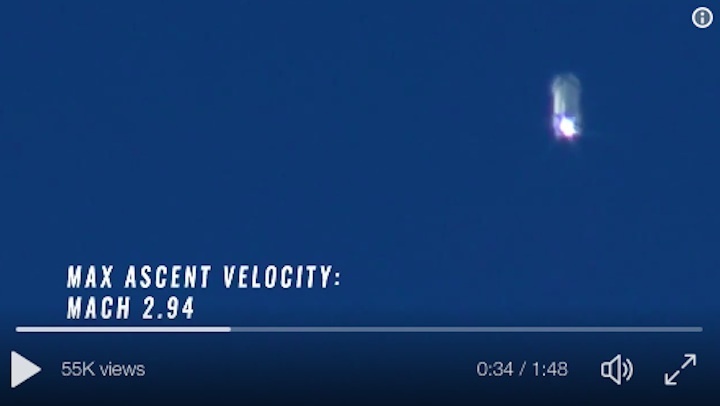 After the rocket takes off, the capsule detaches from the top portion and continues flying until it reaches about 62 miles above the Earth's surface. 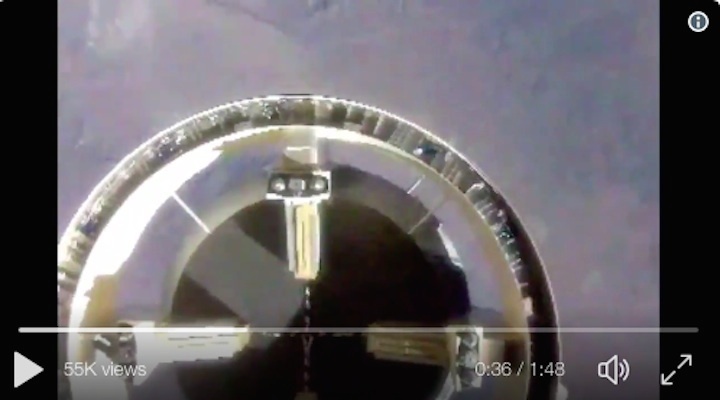 That's considered the "edge of space," the border between Earth's immediate atmosphere and outer space, where space tourists will be able to briefly experience microgravity before parachuting back to Earth inside the capsule. 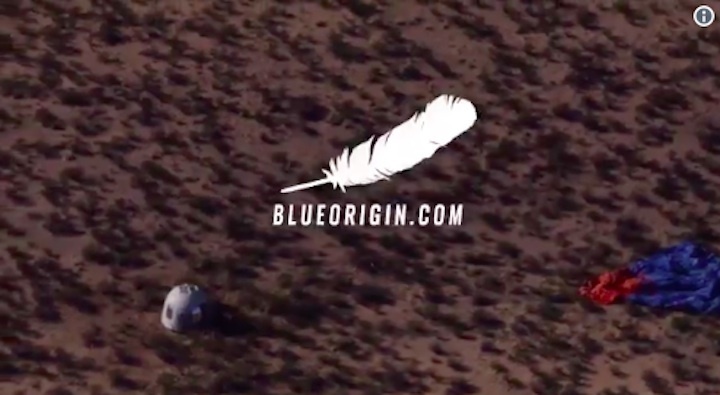 Blue Origin, much like Elon Musk's SpaceX, designed the New Shepherd rocket to be reused. So the rocket falls back to Earth and briefly fires up its engines again to make a soft landing. 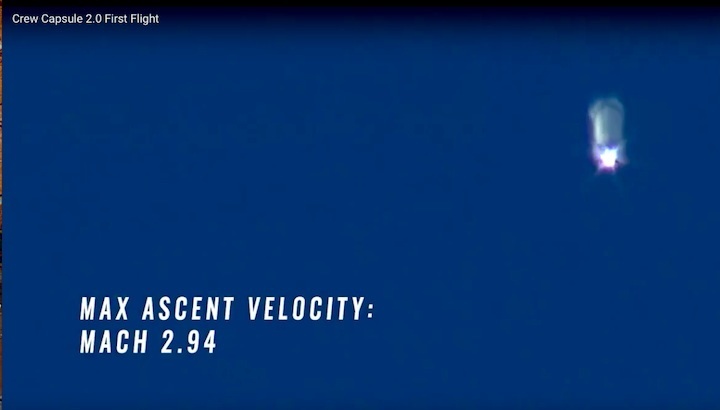 Unlike SpaceX, however, Blue Origin's rockets don't reach Earth's orbit, which requires much higher speeds. The company has unveiled plans to eventually reach orbit. A massive new rocket, called New Glenn, will be capable to taking payloads -- such as satellites or spacecrafts -- into orbit. That would allow Blue Origin to compete with companies like SpaceX for lucrative launch contracts. The factory where New Glenn will be built was recently constructed in Cape Canaveral, Florida. It's scheduled to be up and running by the end of the month. 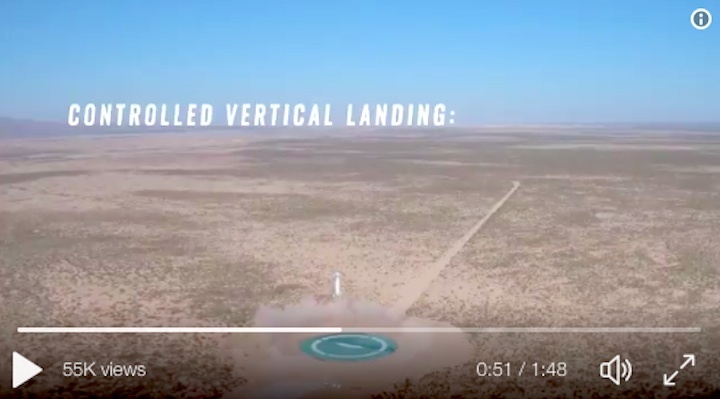 Blue Origin is back at it again. 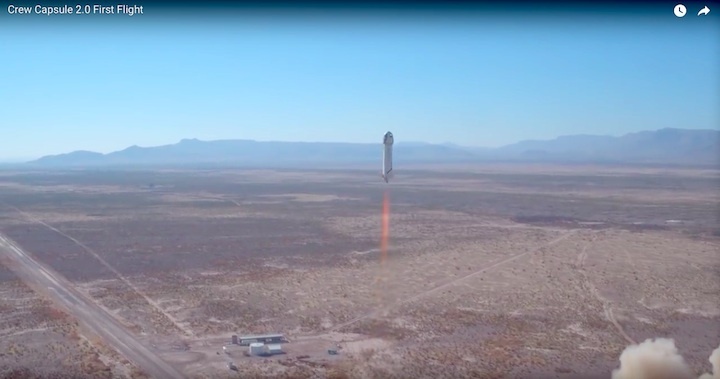 The rocket company — backed by Amazon founder Jeff Bezos — just announced the completion of its seventh rocket test and landing of its suborbital New Shepard rocket and capsule in Texas on Tuesday. And they have the snazzy video to prove it. 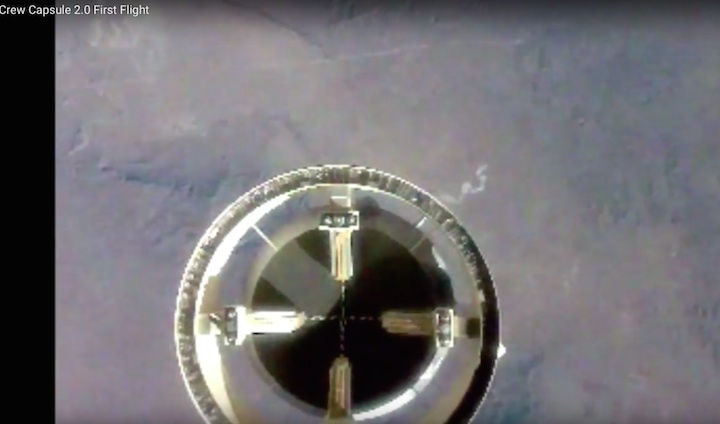 The highly-produced video shows the relatively small, newly-upgraded rocket fly to 322,032 feet above Earth's surface, delivering the capsule — complete with huge new windows — to space. Both the rocket and the capsule then landed softly back on Earth. The rocket coming in for a landing. 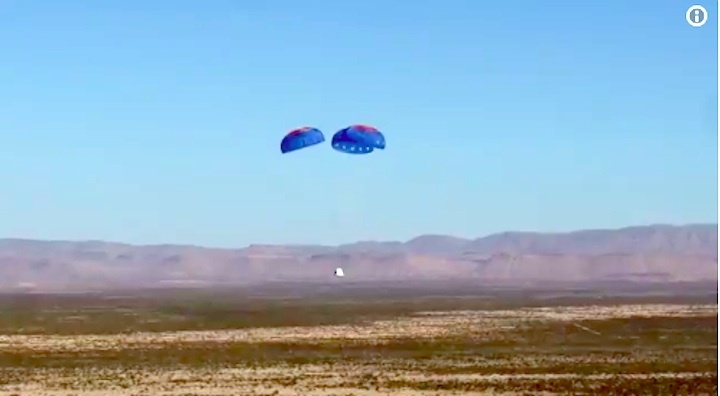 “Today’s flight of New Shepard was a tremendous success. 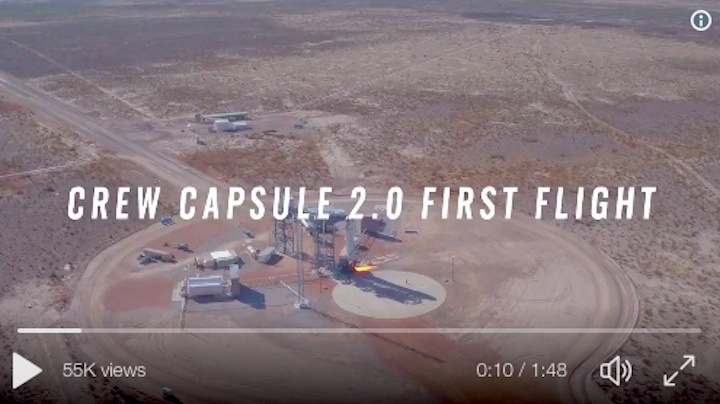 It marks the inaugural flight of our next-generation Crew Capsule as we continue step-by-step progress in our test flight program,” Bob Smith, Blue Origin CEO, said in a statement. 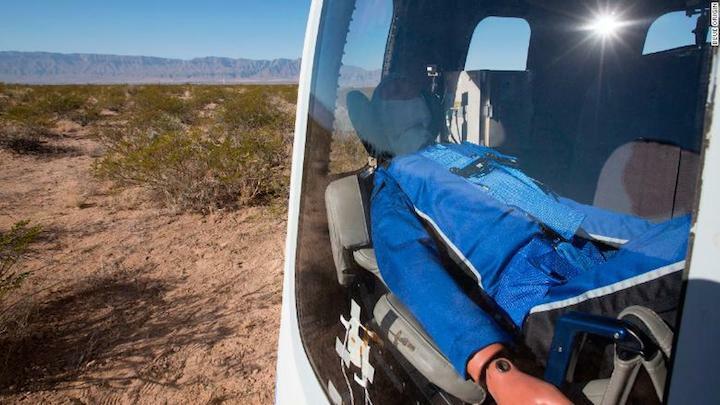 The capsule also carried a test dummy nicknamed "Mannequin Skywalker" (get it?) complete with instrumentation to monitor its ride to space and back to Earth. "Mannequin Skywalker" safe in its capsule. Having data on what people would feel inside the capsule is a good thing too. Blue Origin hopes to start test flights with humans aboard in the not too distant future, so knowing a bit more about what they might experience is an important datapoint for the company. Blue Origin hasn't yet started selling tickets to fly aboard the New Shepard, nor has it indicated how much a seat on the system will cost once they start to sell them. But we do have some indication of what a seat aboard a suborbital flight will cost. Buff Bezos with the crew capsule. Richard Branson's Virgin Galactic, which wants to fly people to suborbital space with its SpaceShipTwo, is charging $250,000 per ticket, and so far about 700 people have purchased seats. Virgin Galactic has yet to fly passengers. Bezos has long said that he wants to see "millions of people living and working in space," and that's what Blue Origin's ultimate mission is. To that end, New Shepard is just the start for the company. Blue Origin also has a rocket factory in Cape Canaveral, Florida to build its New Glennrockets, which are expected to eventually bring large payloads and even people to orbit, something that the New Shepard system isn't capable of. Recovering the capsule after landing in Texas. 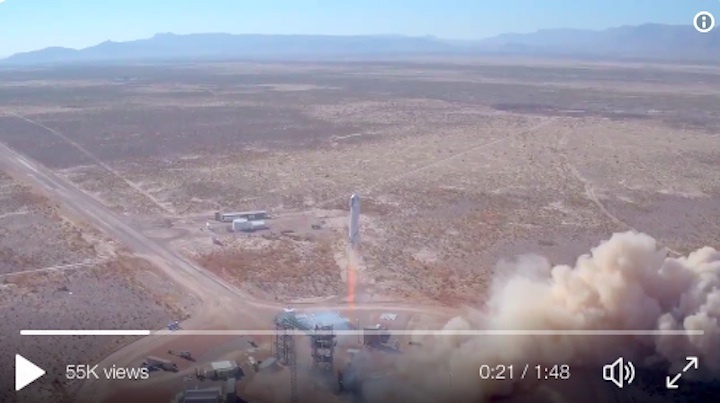 Blue Origin didn't release video of the rocket test until after the seemingly successful launch and landing. This marks a departure from the company's more recent attempts at being open about its launches by airing live webcasts of the events. The secrecy around the launch also seems like a return to the early days of the Bezos-backed rocket company, which was known for its opaque way of dealing with the public. 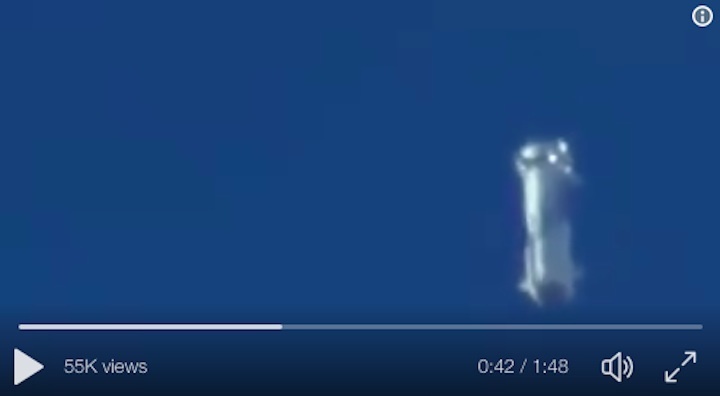 That said, it's possible the Blue Origin will return to webcasting again soon as the company continues to test the new system, gaining confidence in its ability to safely fly people to the edge of space and bring them back home.